When you want to be an expert or a leading force in the real estate industry, you need an effective realtor marketing strategy. The use of print materials can draw the attention of buyers and also provide customer leads, which can turn into sales. We offer a variety of real estate marketing products including business cards, brochures, flyers, and EDDM postcards to assist your marketing plan. But before selecting the products, make sure you have created a thorough real estate marketing strategy. Below are some recommendations when starting the process. Branding and visibility are crucial in the world of real estate, and at Primoprint, we can help you reach potential customers. We recommend you incorporate a few or all of the following print products to ensure you’ll have an effective marketing plan. The buyers and sellers will take notice if you have beautiful, well-designed brochures that target a particular market segment. It’s equally important to make sure that each printed piece is of the highest print quality. Read a previous blog on what it takes to create an effective brochure. Realty cards are often referred to as business cards. They allow you to make a first and lasting impression for you and your real estate agency. It’s important to always keep them on hand. We offer a large selection of premium business cards. Choose from our 14PT, 16PT, 22PT, and even 32PT thick paper stock and finishes including Spot UV, Inline Foil, Stamped Foil, Matte, Uncoated and more. We now offer Free Real Estate business card templates for the following: Berkshire Hathaway, Century 21, Keller Williams, Re/Max, Coldwell Bankers, Allen Tate, and Prudential. Place real estate flyers at the places where the passers-by are most likely to pick up promotional and advertisement materials. Flyers are great for displaying property images, information and realtor contact information. Brand the signs with your company name for maximum advertisement effect. Our signs are as low as $2 each and printed full color on either 4mm or a thicker 10mm coroplast. H-stake stands are available. Distribute real estate postcards in neighborhoods to inform potential buyers about current property listings and your agency. We also offer Every Door Direct Mail Postcards®. They are an easy and cost-effective way for realtors to target buyers and sellers through the mail. 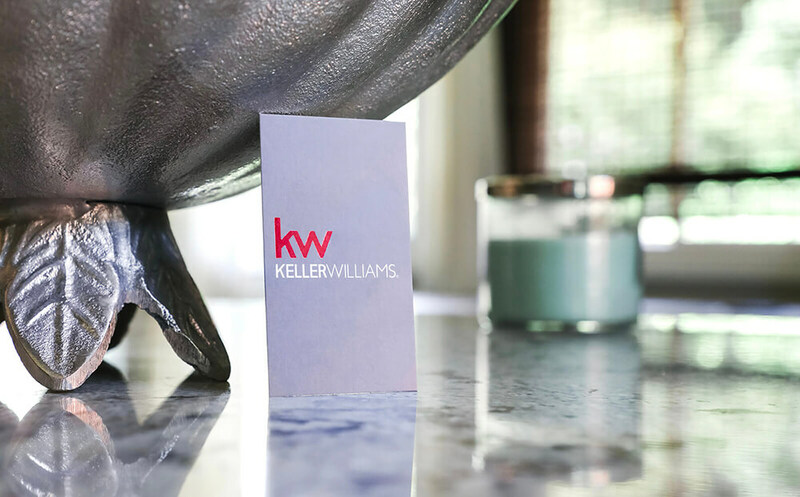 Postcard marketing is an effective way to focus on what you offer your customers, the properties you’ve sold in the area, or properties that you currently have for sale in their neighborhood. These are great marketing tools. 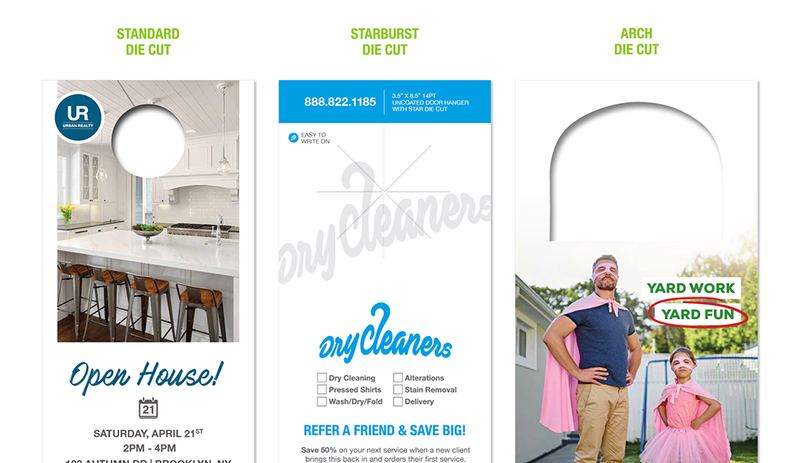 Real Estate door hangers offer enough space to include business information, property details, and images. Bring your message to their front door with full-color door hangers. Promote and build awareness with our full-color sell sheets. We offer fast turnarounds, with no minimums. Prices are as low as .15¢ each. You can utilize both sides of the sheet with property information or why someone should choose you to represent them. They are an excellent marketing tool as a leave behind a reminder of your business and property listing. Or, after meeting with customers/potential customers, they will have something to store all of the information you give them, ie: copies of contracts, flyers, vendor recommendations, etc. All are available with your choice of 1 or 2 pockets as well as business card slits. Keep all your marketing materials in one place with custom presentation folders. One of the best things a real estate agent can do when putting together their marketing material makes sure all pieces are well branded. Every piece you produce should all tie together and work cohesively together. This will help get you known by your community and establish you as a household name. This can be a difficult task, but know that we are always available to assist. Our team of graphic designers can work with you to create all of the above pieces and more. Contact us today to get started.